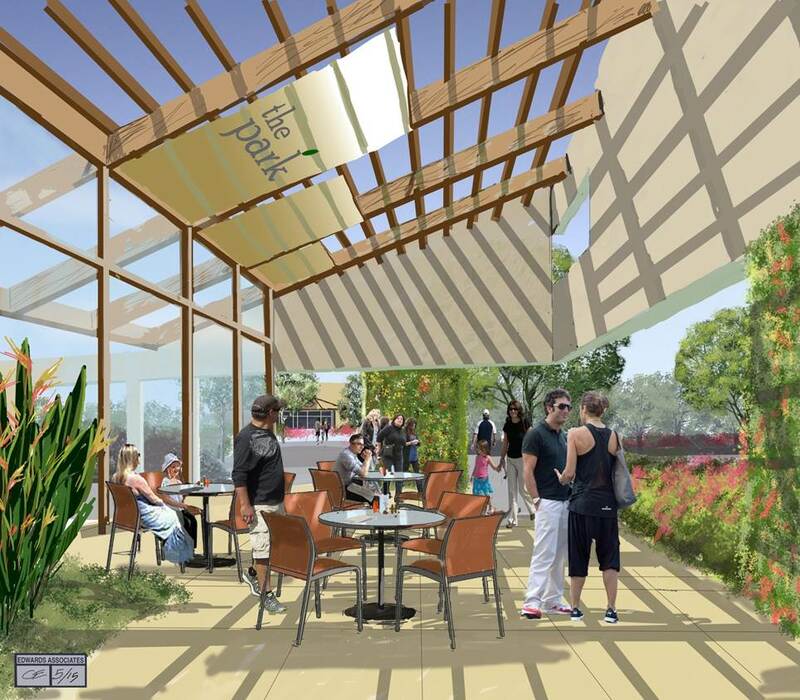 “Whole Foods and the Park” is a plan to establish a small scale Malibu Whole Foods. 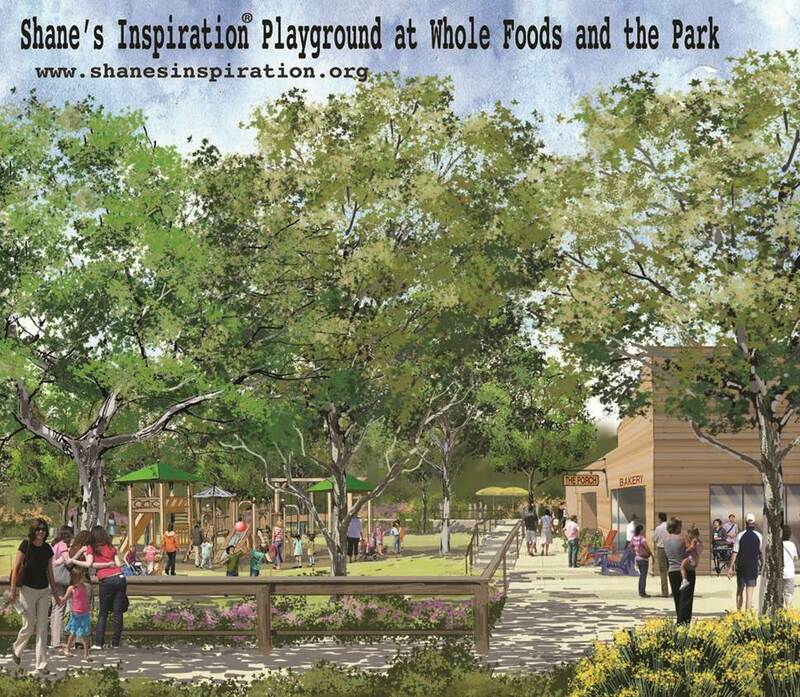 “Whole Foods and the Park” is intended to be a special place for local residents and their families. A place where you can shop, eat, or just have a beverage and hang out on the porch. This plan was designed by a local architect, Ron Goldman, with lots of input by local residents. 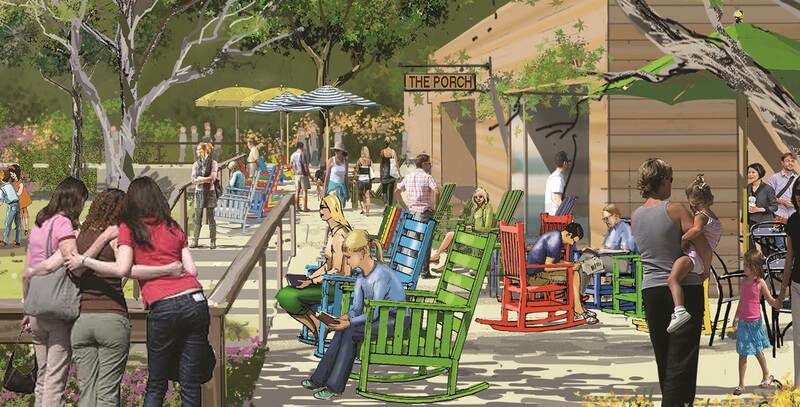 It is intended to meet the needs of LOCAL residents — not people visiting Malibu. The development has been under review for several years and is the first project to be voted on by Malibu residents under Measure R. The developer, Steve Soboroff, and the architect have tried to address all the community’s concerns. The project will contribute needed funds to several of the city’s infrastructure plans: Adding a right turn lane on to Cross Creek Rd. from PCH; water storage for the Civic Center/Serra Retreat area; participation in funding the Civic Center Waste Water Treatment plant as well as other items. The plan limits development to less than one acre (15 percent) of a 5.8 acre site. 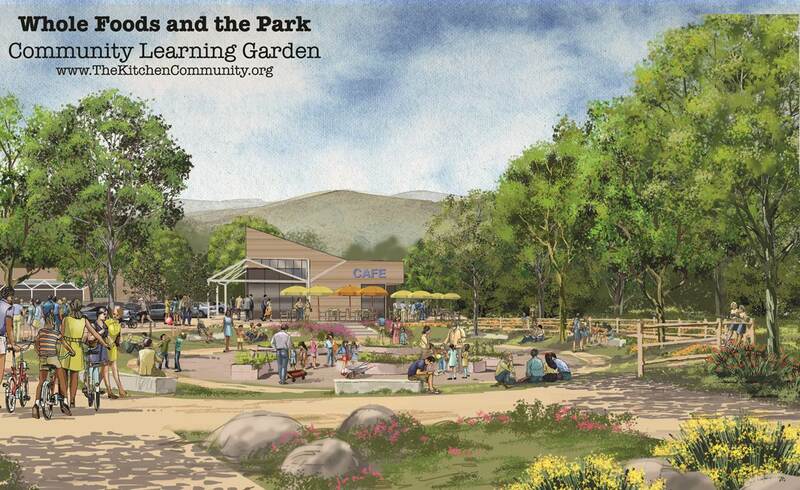 The plan includes a community garden (including a sensory garden and education on organic gardening and cooking area), a “Shane’s Inspiration” playground (with accommodations for special needs children), and plenty of parking. Large 36″ and 48″ box Sycamores are part of the plan, so the project will have maturing landscaping from the start. In addition to the small scale Whole Foods Building, there will be some smaller buildings for retail and restaurants. The plan has also limited truck delivery access to Civic Center Way only, so there will be no additional trucks on Cross Creek. The project plan has also added another emergency egress road for residents and animals to leave Serra Retreat and other fire and emergency accommodations. The Malibu Planning Commission and the Malibu City Council have approved the “Whole Foods and the Park” plan as of July 20. The next step is a citywide vote scheduled for Tuesday, November 3. The developer will pay for the cost of the election and residents have until Thursday August 13, to submit a rebuttal against the special election addressing this project. The Final EIR for the project can be found at https://www.malibucity.org/index.aspx?NID=730. Malibu Residents can also comment at www.MalibuWF.com.